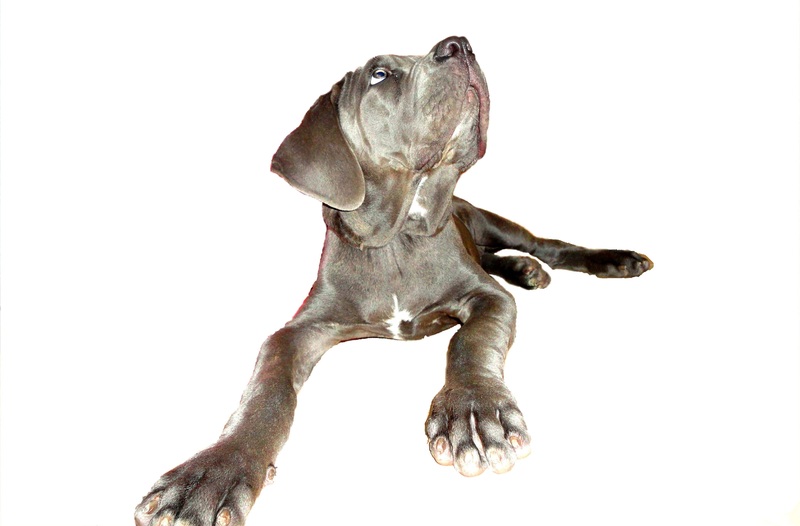 Neapolitan Mastiff wallpapers for your PC, Android Device, Iphone or Tablet PC. 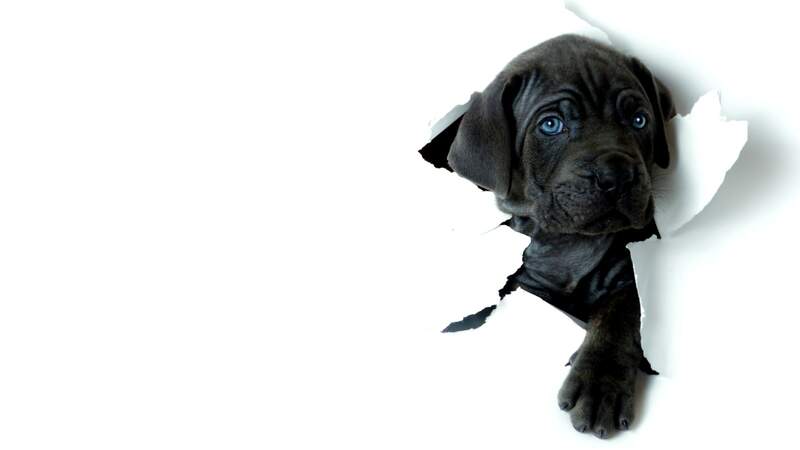 If you want to download Neapolitan Mastiff High Quality wallpapers for your desktop, please download this wallpapers above and click «set as desktop background». You can share this wallpaper in social networks, we will be very grateful to you. 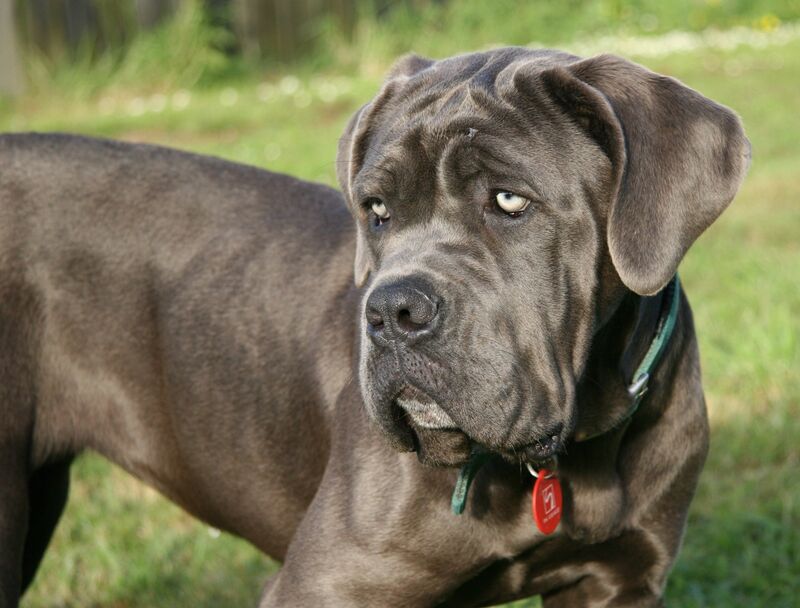 Mastino Napoletano, anyway Neapolitan Mastiff – breed of dog whose story begins with the ancient Rome. It is believed that the Mastino Napoletano – descendants of those animals that participated in the battles in the Roman arenas. According to another version, the breed has Asian roots, its ancestor – the large Tibetan watchdog. 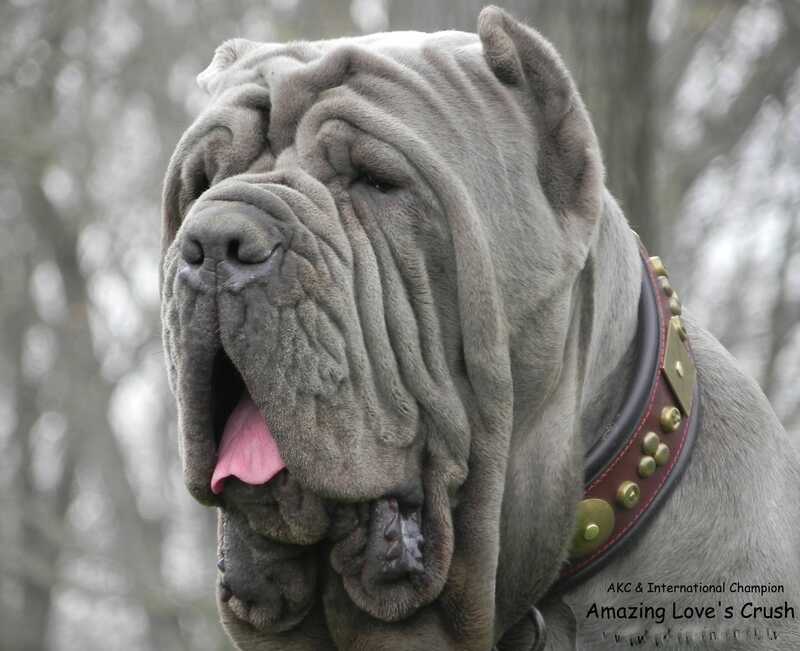 Neapolitan Mastiff can be safely attributed to large dogs, have a strong constitution. Its height can reach 75 cm, weight – 70 kg. 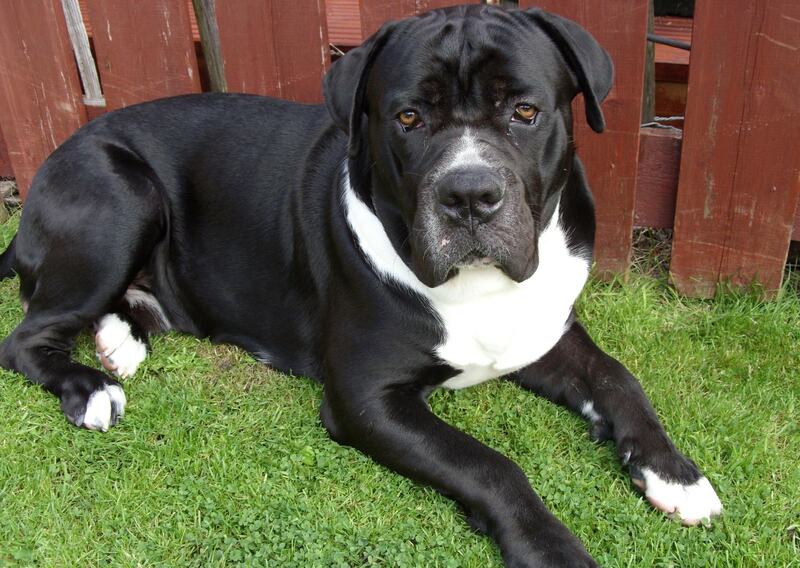 And permitted a greater weight, if the dog is less than 50 kg, it is referred to as defects. 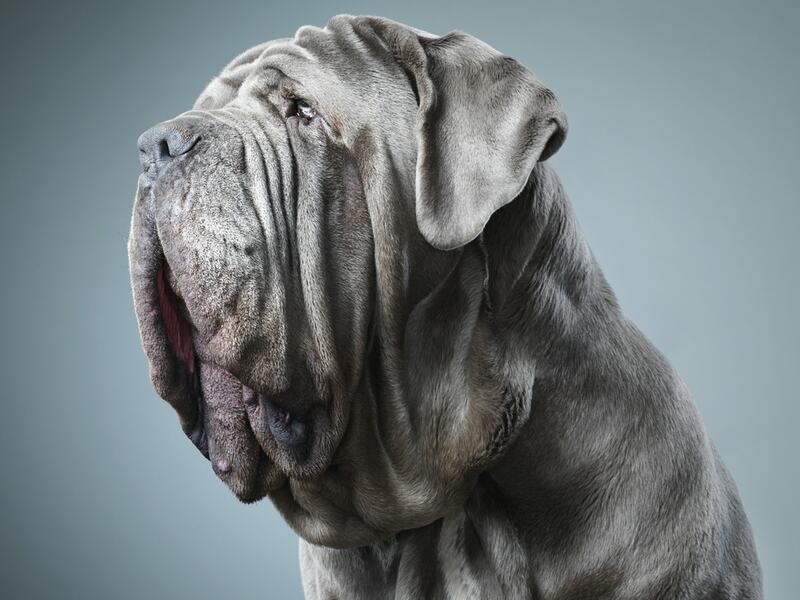 By the standards can be described as the Mastino Napoletano animal with a wide trunk, but a short head and limbs. Ears cupping previously been in the form of a triangle. Today, they are left completely. The thick tail is docked to the third part. There are representatives of the breed of black or gray color. In addition, individuals may be red or brindle in color. Color in any case should not be colorful. In rare cases, the white spots are allowed, which can be located on the chest, or legs. Movement Mastino Napoletano sweeping. Despite some sluggishness, this dog breed is an excellent guard and an excellent defender. 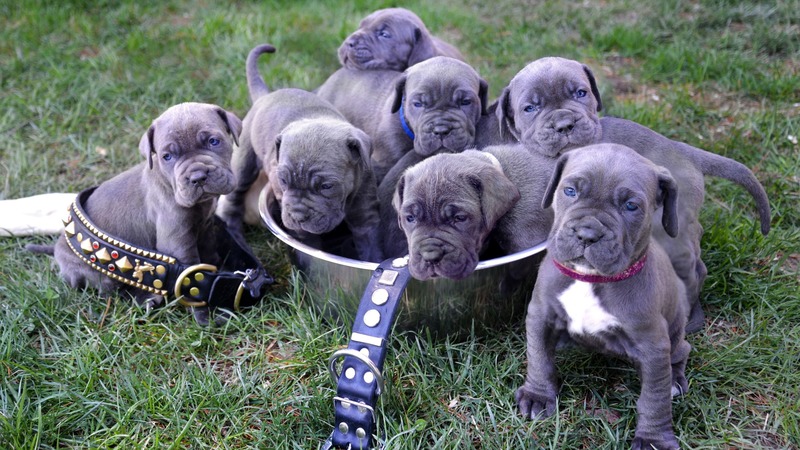 Typically, the Neapolitan Mastiff is used as a security guard or bodyguard. Very often, the breed can be seen as an assistant police. 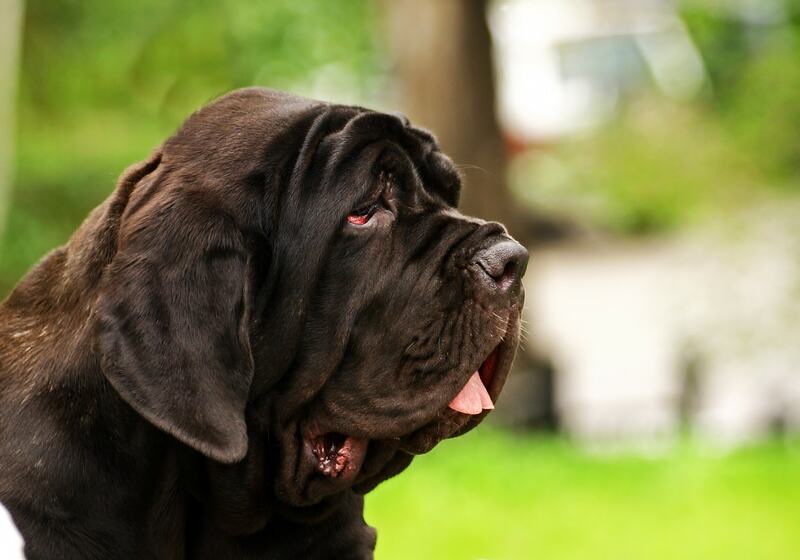 Despite its appearance, the Mastino Napoletano can not be called ferocious animals. If desired, it can be perfectly controlled. And with the ancient instincts, the dog is the perfect guard. It is wary of strangers, what to consider inviting guests in the house. However, their hosts representatives of the breed show loyalty and kindness. 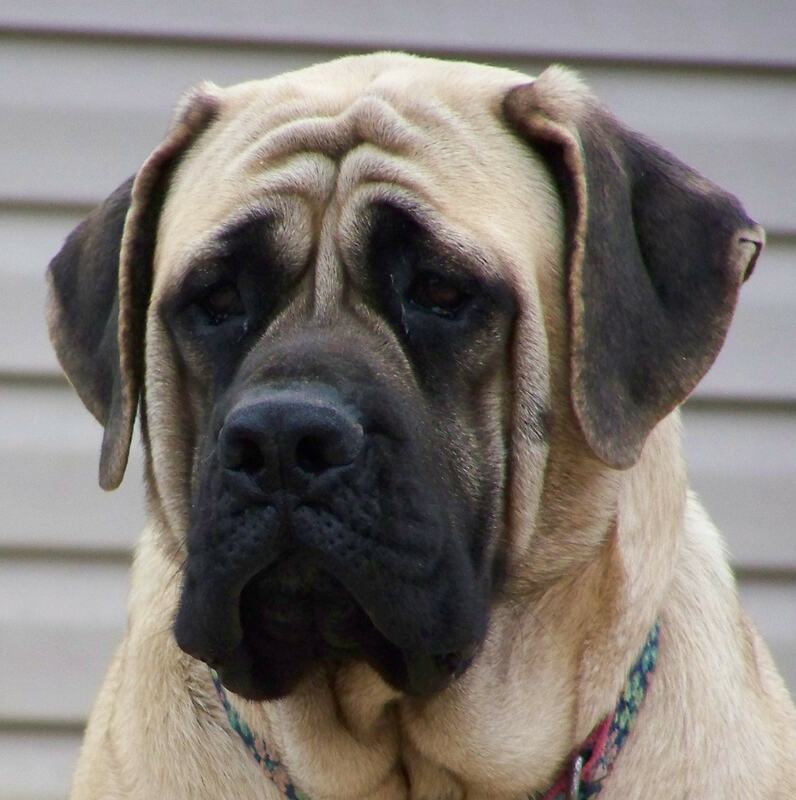 Poor carries Mastiff change of ownership. He may suffer even during temporary absence of the owner. Calm temperament dog ensures that it is rarely the first climb into the fray. This applies both to relations with people and with their own kind. In order to attack, the dog should be in the high-risk situation. 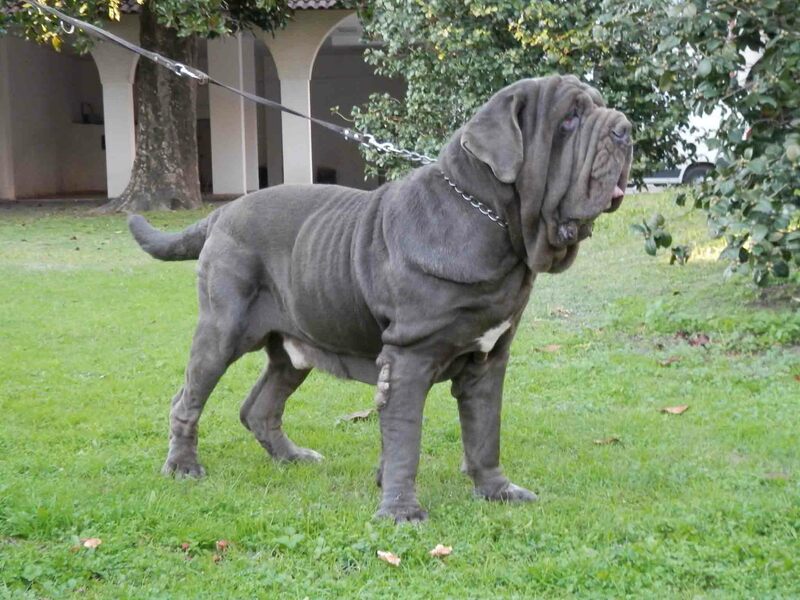 Before and during the fight Mastino Napoletano does not bark and emits a dull roar. If a representative of this breed are still joined in the fight, it will be near the enemy to his total surrender or until they hear the host team. The main condition of detention – most regular physical activity. Therefore it requires regular long walks with the Mastino Napoletano. Keep a representative of this breed in an apartment can be, but it is problematic enough. 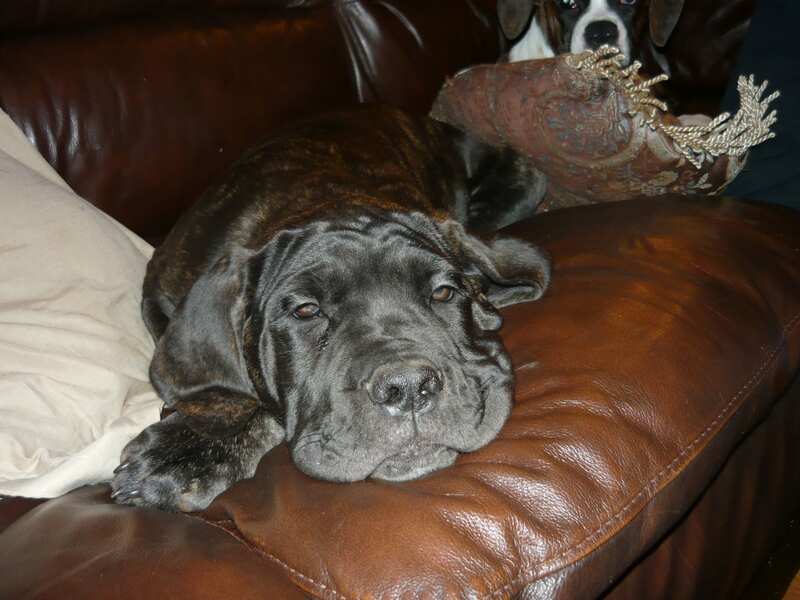 Neapolitan Mastiff requires space and a large area. The best option for the conditions of this dog – a country house. Besides, here it will be a reliable guard. 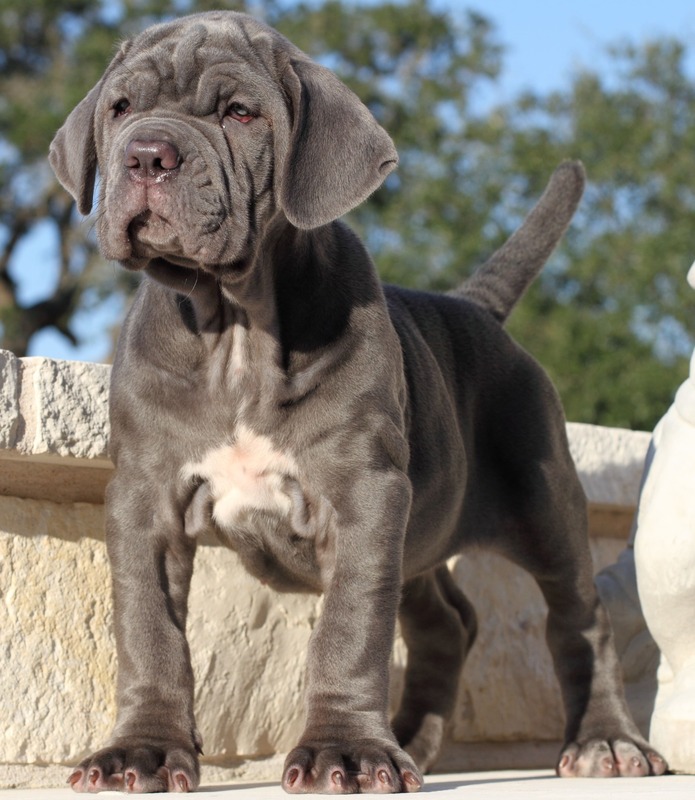 Mastino Napoletano must have a specific owner. This is a very attentive and observant dog that will try every effort to gain the approval of the owner. One of the distinguishing traits of this breed is strong suspicion. To strangers dog treats with caution. However, under normal socialization, making sure that the house guests are not a threat, Mastiff stop paying attention to it. In no case can not beat the dog. In order to express their disapproval of her act slightly raise enough voice. Mastino Napoletano perfectly amenable to taming. Teams should be given a firm confident tone. While the dog is a year old, it is not recommended to bathe. Adult birds should also not be subjected to the procedure of washing without a specific reason to do so. This is due to the fact that bathing can be removed from the layer of fat dog’s coat, which protects it from insect bites. Puppies for first walks usually much pull on the leash host. Rid your dog of this habit will help special tightening collar. After mastino slowed his gallop, it is necessary to return to a normal adaptation for walking. The optimal age at which it is recommended to take the puppy – 2 month. From the first days of acquisition of a puppy to take care of its successful socialization and eliminating the distinctive traits of the breed – strong suspicion all around. But even an adult dog, in the absence of aggressiveness towards people rarely sees positive affection and compliments from strangers. He is devoted to the owners and jealous of interference in its relationship with the provider. From 2 to 4 months the puppy should eat at least 4 times a day. Adult dogs have enough once, preferably in the evening. The diet should be varied, including the need to enter his products enriched protein. Additionally, you can give vitamin complexes, especially in the spring. In pet stores you can find a balanced diet, which will contain all the necessary dog substances. In 2 months the puppy should get vaccinated against hepatitis, leptospirosis and glanders. In the future, the veterinarian may recommend additional vaccinations and, for example, rabies or parvoviroza. 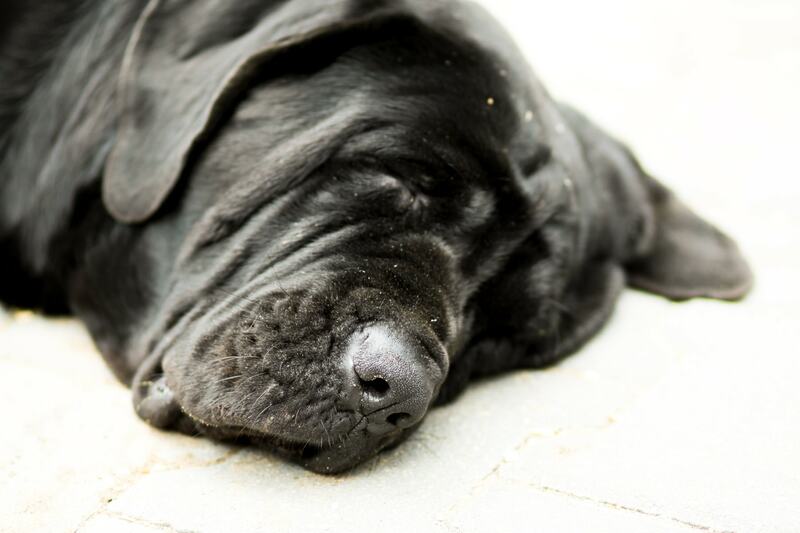 Mastino Napoletano good health is different. In dogs, this breed rarely found any disease. Among the most dangerous diseases may be noted cardio-pulmonary filariasis. The infection usually occurs in dogs living in high humidity in the area where a lot of mosquitoes. That insects are carriers of the disease. After a mosquito bite in the animal’s body penetrate parasites, habitat that becomes a pulmonary artery. To determine the presence of the dog health problems can be for her behavior. Infected mastino becomes passive, reduced its activity. In addition, the wake-up call is a dog’s refusal to eat. 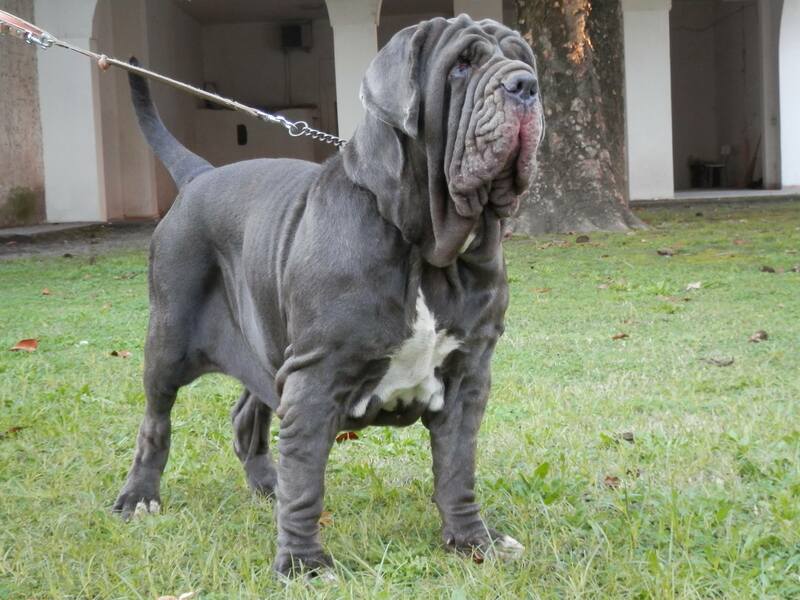 Homeland breed is Italy, Naples. Since 1991, the country introduced a mandatory condition – puppies celebrate a special sign. 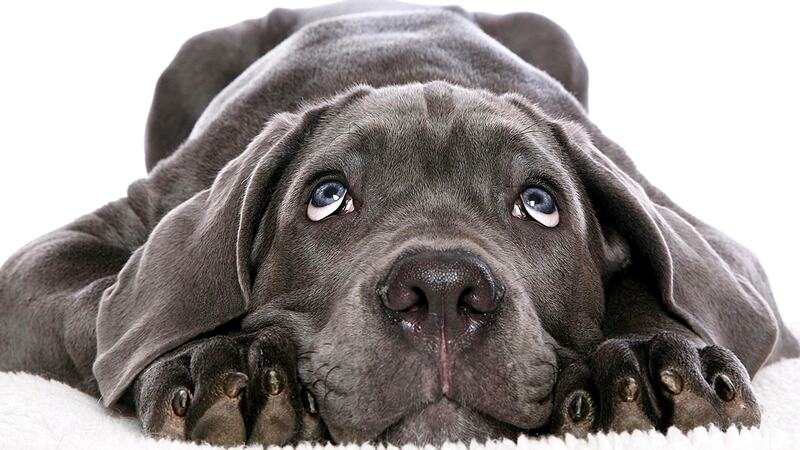 In many European countries it is forbidden to stop ears representatives Mastino Napoletano. 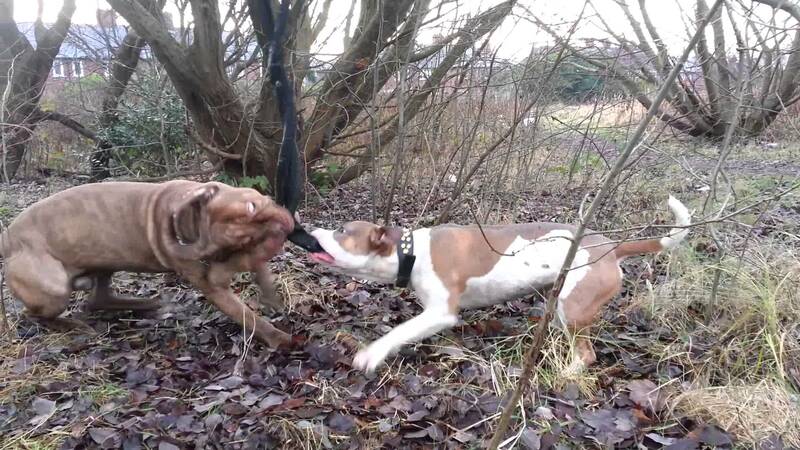 Despite the high fighting qualities, this breed (as well, and others) is forbidden to put on dog fighting. Lifespan mastino less than that of smaller dogs. Usually it is not more than 10 years. 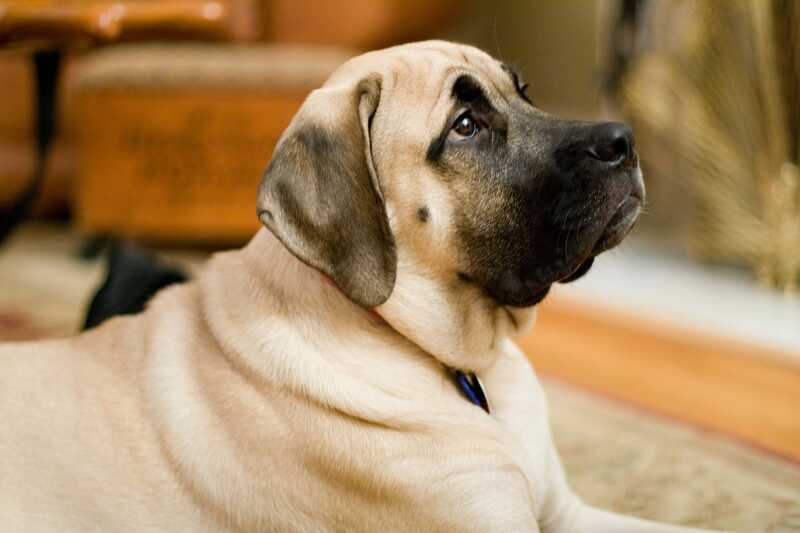 However, during this time the owner of the mastiff is near the faithful and reliable guard. 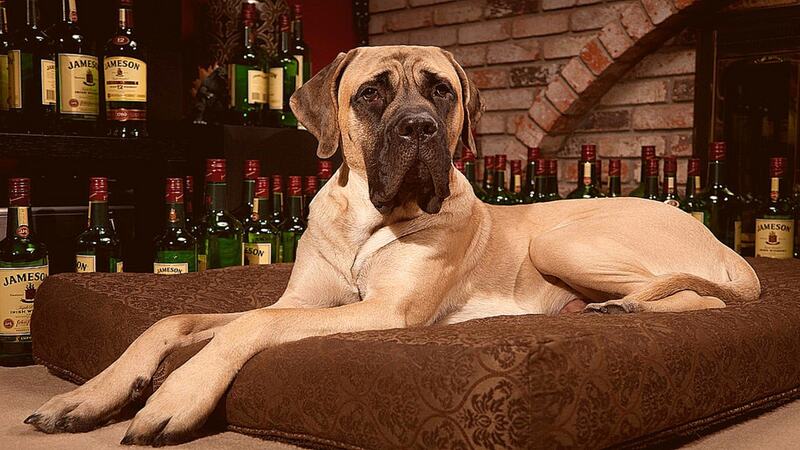 Mastino Napoletano is a favorite breed of many celebrities. These dogs are “lit up” in many major television series and Hollywood blockbusters. 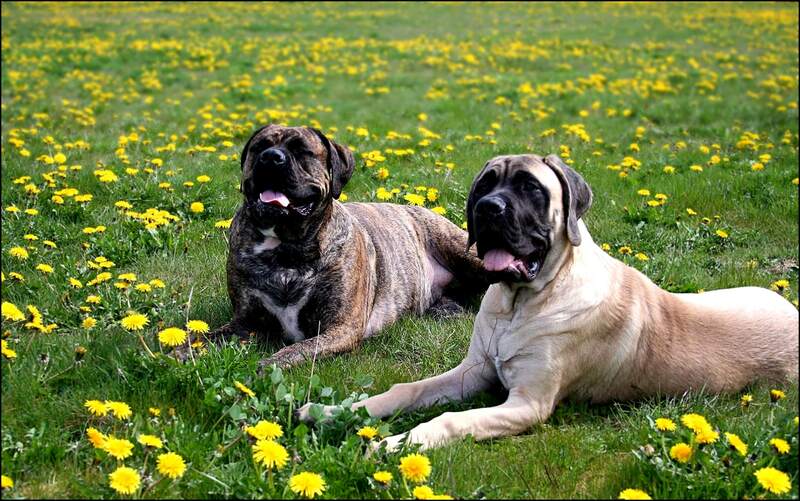 As already mentioned, the Mastino Napoletano – is essential guards. One look of the representatives of this breed make attackers think about whether to make an attack should be. 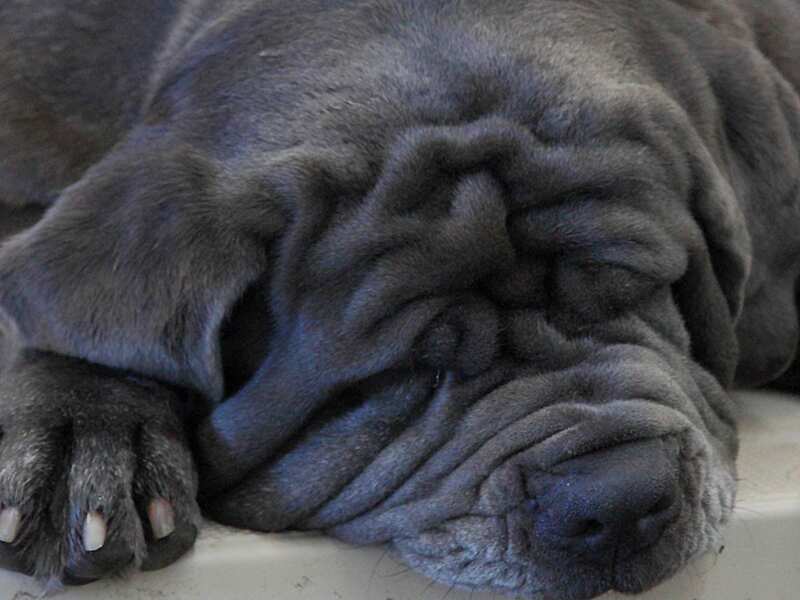 Neapolitan Mastiff is extremely loyal to his master and other members of the household. Balanced, with a strong character and boundless courage mastino earned a place of honor among the working dogs breeds.